UVA football kicks off Year 2 of the Bronco Mendenhall era at home on Saturday at 3:30 p.m. against FCS opponent William & Mary. The game will be broadcast on ESPN3. Augusta Free Press will also cover the game with a live blog led by editor Chris Graham from the press box at Scott Stadium. The Cavs are coming off a 2-10 campaign in Mendenhall’s first year in Charlottesville, the program’s ninth losing season in the past 11 years, dating back to the Al Groh era. Virginia returns two preseason second-team All-Americans on defense, linebacker Micah Kiser and safety Quin Blanding, along with starting quarterback Kurt Benkert. Question marks for UVA are plentiful. The offensive line returns a total of 14 game starts from a year ago, meaning it will be a work in progress, to say the least. Virginia also lost its top two running backs and two of its top four pass catchers from 2016. William & Mary stumbled to a 5-6 finish in 2016, and isn’t getting a lot of love in the 2017 preseason, tabbed to pick seventh in the 12-team CAA by the league’s head coaches and sports information directors. Head coach Jimmye Laycock still hasn’t decided on a starting quarterback, with Tommy McKee, Brandon Battle and Shon Mitchell all listed on the depth chart with the word “or” between their names. 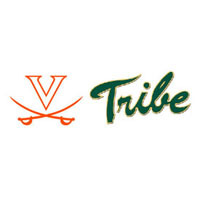 UVA certainly will not look past the Tribe, who played the Cavs tight in a 35-29 loss in Scott Stadium two years ago, and Virginia fans won’t forget the disastrous 2016 season-opening 37-20 loss to FCS opponent Richmond, either. Date/Time Sat., Sept. 2, 2017 | 3:30 p.m.